Catherine has worked in the heritage sector for 22 years. She worked for Portsmouth and Birmingham City Councils encouraging a pragmatic approach to conservation and making good design mainstream. She then moved back home to Newcastle to work for English Heritage, mainly on regeneration schemes and the design of new development in historic areas and leading the Development Management Team in the NE. Having studied Town Planning with Urban Design she has a strong interest in urbanism and making best use of historic buildings through innovative design. At Historic England Catherine leads the NW Planning Team in providing advice, grants and support for those engaged with constructively managing the historic environment. Ela Palmer is a built heritage consultant who has worked in the private sector for twelve years, including spells at major engineering companies Arup and URS (Aecom), and seven years as a freelance consultant. Her career has been dominated by major infrastructure projects including Crossrail, Thames Tideway Tunnel, Paddington Station Overhead Electrification, M1 Widening and the Bank Station Capacity Upgrade. 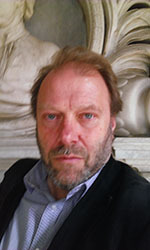 Simon Bradley is joint editor of the Pevsner Architectural Guides, Yale University Press London. His publications include two books with a railway theme: a history of St Pancras station (2nd edn, 2010) and a major study, The Railways: Nation, Network and People (2015). In the revised Buildings of England series he is author or co-author of four books, including two London volumes and Cambridgeshire (2014). His current project is the revision of Oxford, for the forthcoming volume Oxfordshire: Oxford and the South East. Richard Brook is Principal Lecturer at the Manchester School of Architecture. His research focuses on the exoteric forces acting upon the production of architecture and the built environment. He is interested in the post-war period specifically and the infrastructure attendant to the 'Rebuilding of Britain' between 1945-75. He is an advisor to the Modernist Society and an active member of the Twentieth Century Society and regularly contributes to their magazines and journals. He has curated exhibitions on post-war infrastructure and planning and is currently engaged in collaborative research into the landscapes and architectures of power stations and motorways in post-war Europe. Nigel Crowe is the National Heritage Manager at the Canal & River Trust. He leads the Trust’s team of regionally-based heritage advisers in England and Wales. He has 30 years’ experience of working in the management and conservation of the historic buildings and structures of inland waterways. He has written numerous articles relating to the historic environment and is the author of the English Heritage Book of Canals. He is a member of the IHBC’s editorial board. Peter de Figueiredo is an architect and architectural historian who has spent most of his life on Merseyside. Starting his career in private practice, he later served as Conservation Officer for the City of Chester and Historic Buildings Inspector for English Heritage. He currently works as an independent historic buildings consultant, carrying out research, conservation appraisals and advocacy work for clients across the NW of England and elsewhere. 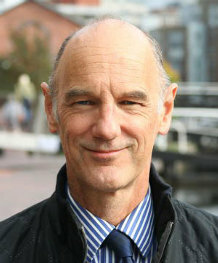 He acts as heritage consultant to the Peel Group on their £6 billion regeneration project for Liverpool’s central docks. He has written and contributed to many books on the architecture of the region, including The Country Houses of Cheshire; The Rows of Chester; Victorian Manchester and Salford; Religion and Place: Liverpool’s historic places of worship; and 111 Places in Liverpool that You Shouldn’t Miss. He serves on the Historic Churches Committee for the Roman Catholic Dioceses of Lancaster, Liverpool, Salford and Shrewsbury, and is a Trustee of the Port Sunlight Village Trust. William Filmer-Sankey began life as an archaeologist. After a spell as Director of the Victorian Society, he joined Alan Baxter in 2000 and now leads the practice’s conservation team. Since 2011 he has been closely involved with the Great Western Electrification project, as Network Rail’s heritage advisor. This, and other Network Rail projects, has given him a detailed understanding of the challenges of upgrading the UK’s existing – and often historic – railway network. Kate Martyn joined Donald Insall Associates from Westminster City Council where she was a Senior Urban Design and Conservation Officer. In this role she dealt with numerous redevelopment schemes in the historic environment, providing guidance from pre-application through to application and for presentation to Councillors and at planning committee. At Donald Insall Associates Kate has provided detailed advice and guidance on development proposals in a range of different contexts and assessed their impact on heritage assets in accordance with the NPPF and local policy and guidance. Clients include the Cadogan Estate, the Crown Estate, Capital and Counties, the Royal Opera House and Tottenham Hotspur Football Club. Kate has a degree in Architectural Studies and a Masters in Historic Conservation; she is an affiliate member of the IHBC and is a panel member of the Marylebone Association planning committee. Victoria Perry joined the Donald Insall Associates in 2012 having previously been a teaching fellow at the Bartlett School of Architecture, UCL. A qualified and experienced architect and historian, Victoria has an up-to-date understanding of strategic conservation, planning and heritage policies advising clients including the Crown Estate, United Nations Organisation Geneva, the MOD and the Royal Brompton & Harefield NHS Foundation Trust. She served on the Twentieth Century Society Buildings Committee for eight years, is the author of Built for Better Future (1994) a monograph about one of Britain’s seminal post-war industrial buildings, and has co-written and presented BBC TV programmes about British and German approaches to industrial heritage. Christina Petrides is a Technical Director with Energised Environments, specializing in environmental impact assessment (EIA). While her experience spans a range of sectors, she has more recently been heavily involved in leading EIAs for medium- and large-scale infrastructure projects in a range of sectors including rail, mining infrastructure and airports. She has led and completed work on environmental inputs into the national aviation expansion options in the UK and acted as EIA manager for the capacity upgrade to Bank Station. She has led and facilitated technical workshops, managing projects and liaising with clients and stakeholders with a key focus being balancing client requirements with legal compliance. Her role within each project involves teasing out the key issues and receptors likely to be affected, which will frequently involve potential impacts to heritage assets ranging from locally listed structures, to World Heritage Sites and spiritually-significant sites in relation to international development projects. Addressing these impacts involves working closely with specialists, stakeholders and clients to identify suitable solutions and avoid objections. She has experience of a range of consenting regimes in the UK working in both the public and private sectors, including projects that have gone to public inquiry. David Rudlin is a director of URBED, Honorary Professor at Manchester University and winner of the 2014 Wolfson Economics Prize. He started his career working on the redevelopment of Hulme in Manchester both as the local planning officer and as secretary of the Homes for Change Housing Cooperative. He has been at URBED since 1990 and heads up their masterplanning work. He is the author of the book, ‘Sustainable Urban Neighbourhood’ published by Routledge in 2009 which was described by Richard Rogers as ‘the best analysis (he) had read of the crisis facing the contemporary city’. He is also chair of the Sheffield and Nottingham Design Panels, chair of BEAM in Wakefield and a director of the Academy of Urbanism. Dr Julian Holder is Lecturer in the History and Theory of Architecture in the School of the Built Environment at the University of Salford. He was previously Inspector of Historic Buildings and Areas with English Heritage in the North-West and formed part of its Designation Review Team. He has enjoyed a long career in both academia and conservation and has written widely on conservation and architectural history. He is author of the recently published ‘Neo-Georgian architecture 1880-1970: a reappraisal’.